I finally did it, I cancelled my Shownet internet subscription. I have been with shownet for over 3 years now but the past few months have been terrible. I still believe they have the best price per bandwidth in Kuwait. I was paying KD50 a month for Showtime Total Plus channels, and an internet connection of 1500kb down and 128kb up. It was a pretty cool connection until recently, they changed their hardware and ever since then I have had tons of issues with them. For the past month and a half I wasn't able to get online at home using the satellite connection. No one could come over to fix it because they stop work at 5 and I am at work till 5:30. I couldn't take my pc over to their workshop because they close at 6 while it takes me 35 minutes to get to them. Their customer support on the phone was terrible.. thats IF someone ever picked up. Most times I would call and be on hold for 10 minutes and then suddenly they would hang-up on me. Anyway whats past is past and today I was finally able to cancel my subscription. I had to get off work early so I could be at Showtime before 6. Oh yeah, you have to go all the way to their farwaniya branch if you need to cancel your account but you can go to any branch including the marina mall one if you want to create an account. How very practical for them. So I am now moving to DSL. I had options between Fasttelco, Qualitynet, Zajil and UCC. Qualitynet have the double your bandwidth promo going on so I will go with them. KD32 a month, I get a free DSL modem plus a 512KB connection. Best DSL deal in town. Tomorrow I will go and finalize my papers. I can't wait. I've had qualitynet for a year now. 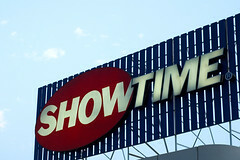 My name is 3abeer and I am a showtime subscriber! yes I admit, I'm going through what you have mentioned with their crappy service, their non-existant customer support and their lousy working hours. One time I requested a technician to come over at 5 pm and they said he will show up. when he didn't I called him up and he said exactly that: " if they pay me overtime I'll show up, other than that I'm not coming"
yup, that's perfect customer service for you ! !